Through generous support from the North Carolina General Assembly through the Transforming Principal Preparation (TPP) Program (Section 11.9 of Section Law 2015-241e) students in the Johnston Principal Leadership Academy (JPLA) receive a full fellowship for a Master’s of School Administration degree from NC State University. The two-year program includes a paid 10-month principal residency (internship), corporate leadership training from BB&T, and JPLA Fellows receive funding for books, travel for learning rounds/site visits to exemplary schools and professional conferences, a summer stipend, a principal mentor and an executive coach to provide support during the residency and for early-career induction. The Johnston Principal Leadership Academy is a principal preparation program at NC State. The program trains aspiring school leaders to serve specifically in Johnston County Public Schools. 35,003 students attend public schools in Johnston County. 48% of students in the school district receive free or reduced lunch. 13.7% of students are involved in special programs, including individualized education plans (IEP), Section 504 plans, homebound services, and others. Johnston County Public Schools (JCPS) has had partnerships with NCSU to offer MSA cohorts for over 10 years. The most recent cohort (graduated May 2014), participated in a Candidate Assessment Day with representatives from the university. Based on the success of this cohort, JCPS modified their current principal interview process (February 2016) to model the assessment day. 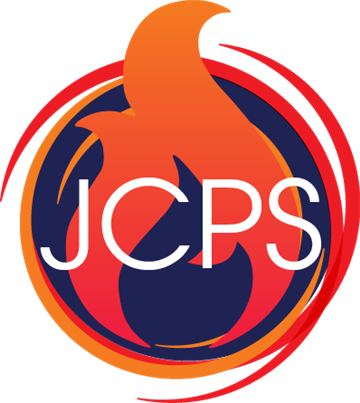 In addition to a typical interview, JCPS also utilizes scenarios, role-playing, writing activities, and personality assessments to provide a wealth of data in assisting our superintendent in hiring and appropriately placing principals. JPLA will strengthen the existing partnership between NCSU and JCPS. Several senior JCPS officials teach in the NELA program. They are eager to enhance NCSU’s JCPS partnership and bring an exceptional MSA program to JCPS. To learn more about JCS, visit https://www.johnston.k12.nc.us/. JPLA Fellows began their courses in May 2018! To learn more about the current JPLA Fellows, visit the Fellows Page. JPLA Fellows began their courses in May 2018! They will participate in courses this year while continuing their teaching positions. Next academic year (2019-2020), they will engage in a full-time Principal Residency. Current JPLA fellows are expected to graduate in May 2020. Meet the Johnston Principal Leadership Academy!